Thanks so much for everyone that was involved in the Stop Slavery ride this year. This year we raised money for the following projects. 2. 1/2 College Degree $2500 This is half the cost of tuition and living expenses for a college degree for one girl that has been rescued from a trafficking situation. This need is immediate and we would love to be able to fund half of a girl’s degree and help her get started on the right track and perhaps fund the other half of the degree next year. This will allow her to get the skills to get a higher paying job than she would otherwise be able to get. 3. Social Worker to Assist with girls involved in prosecutions $3600 This will provide the social worker costs for one year for the social workers involved in working with girls that are involved in court cases. 4. Investigative Equipment $1100 Investigative Equipment including GPS trackers, hidden cameras and recording devices, investigation expenses and stationary recording devices. We are launching a new project of Stop Slavery this year called CEO Shortcut. 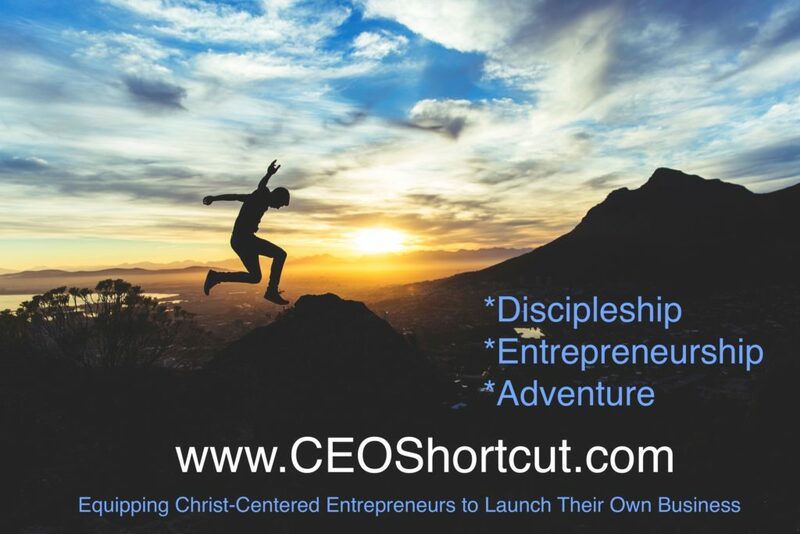 We want to help Christ-Centered Entrepreneurs launch their own business to make a Kingdom difference wherever it is that the Lord is calling them. We are looking for some sponsors to help us get off the ground this first year to hire an assistant and for scholarships for students that need a little push. If you’d like to help please reach out and I’ll let you know personally what the needs are. Also, if you know of anyone that should join our program please pass it on. It is going to be life changing for those that are able to attend. 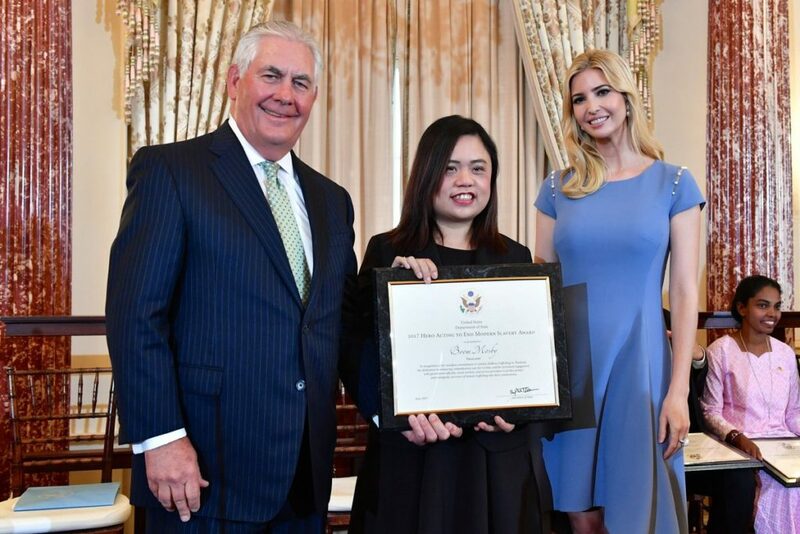 Congratulations to Boom Mosby for being awarded one of the Heroes for the 2017 Trafficking in Persons Report. She heads the Hug project in Chiang Mai, Thailand that some of our missionaries help to build and one of them still works with her. 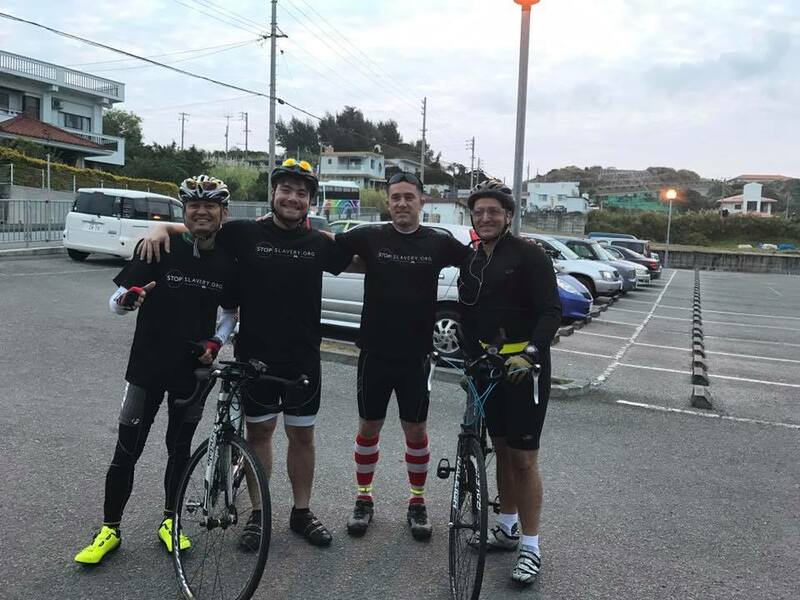 The last few years we have funded some of the needs for their office specifically through the Stop Slavery Bike ride on Okinawa, Japan. Thanks so much to Calvary Chapel everyone who was a part of the Stop Slavery Ride and thanks heaps, Andre Trinidad, for documenting everything for us. 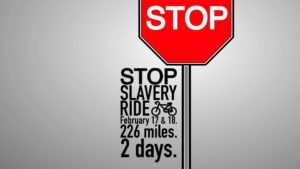 If you would like to organize your own Stop Slavery Ride as a fundraiser/awareness building event let us know. The best numbers say there are 48.5 million slaves in the world today. I think 48.5 would be great for a Saturday morning ride event. 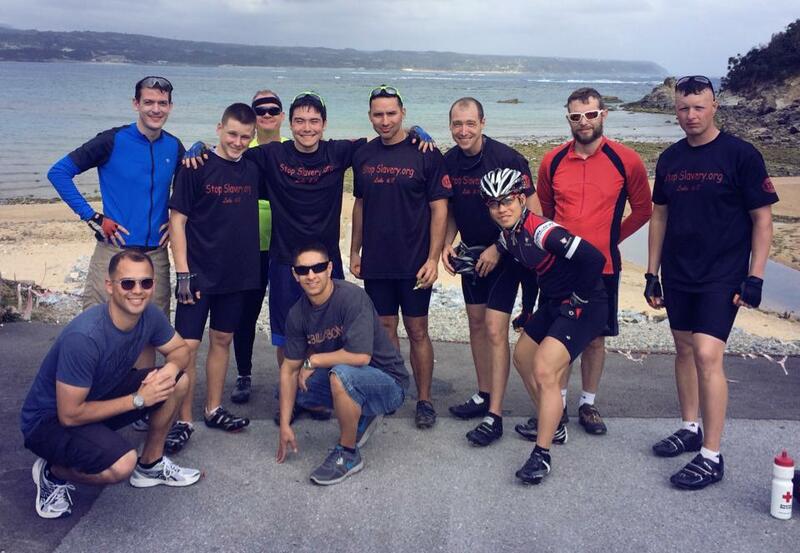 Last year we raised just over $10,000 from the Stop Slavery Ride in Okinawa. It was the largest fundraiser for projects that we have ever had. This year we are hoping to reach that goal again. If we do, below are the projects that we will be supporting in 2017. 4. Investigative Equipment $2700 Investigative Equipment including GPS trackers, hidden cameras and recording devices, investigation expenses and stationary recording devices. Visit the Donation page to support a specific rider, or make a general donation. Thank you for your support! The Bible is the inspired word of God. The 66 books which constitute the Bible are entirely reliable and truthful, and the Bible stands as the central authority over our lives, our faith and the direction of our church. Jesus Christ, the Son, is fully God and fully human. He lived a sinless life, died for the sins of humankind, was resurrected bodily on the third day, ascended into heaven and is coming again as King and Judge. Human beings are created in the image of God. As such, we are unique among all of God’s creation. We have turned against God and this has resulted in spiritual death for all humankind. Humanity lives in a state of alienation and profound need which can only be satisfied by reconciliation with God through Christ. Without this reconciliation, all people stand under God’s righteous judgment. The church is composed of all those throughout history who place saving faith in Jesus Christ. The church is not an institution, but a people. God wants all Christians to live out their spiritual lives in a corporate context. This context of Christian love relationships is a crucial feature of our witness for Christ as it reflects God’s character to the world. At the final judgment, God will assign all people their eternal destinies-either life or judgment. Those who have responded to Jesus Christ with saving faith will receive the eternal life they have already been promised (John 5:24), while others will live under eternal judgment. Therefore, because eternal issues are at stake, there is an urgency to communicate the gospel. We believe in doing something about it—that we should “walk worthy of the calling” to which we have been called. – (Eph. 4:1; Titus 2:11-14; Mark 16:15; Acts 1:8). Here is a video of a church building project we did in Cambodia. The work was hard, but fruitful. We loved having the team from Koza Baptist Church come in and help build this church building for the widow. “Wouldn’t it be like Jesus to get every kid in this village a bike.” So we partnered with a couple of others and what started out as a dream to give 50 kids in one village a bike resulted in 122 kids in two villages and two orphanages receiving new bikes. When I visited this village a few months after my students had delivered the bikes our orphanage director was introducing us to people in the village and he remarked that many of them would get sick because their pump water wasn’t clean. That was a fallacy I had fallen victim to before. I keep assuming that because the water is coming out of the ground from a pump that it is clean and that isn’t always the case. Our director asked us if we could get them a $25 water filter so that they could have clean water in the village. I wish I had known that 2 years ago when we started coming to this village. Perhaps in the future we will be able to offer something a little more permanent that doesn’t require them to go through the additional step of running the water through a filter before drinking it. Water is something we totally take for granted in the west. Our house in South East Asia often goes without water. We have 3 water tanks to try to avert the problem but inevitably we run out of water. Generally we have drinking water because we get that delivered weekly. Last time I was back in the United States I remember thinking, “Wow, Americans have so much good water they can use it to wash cars and water the lawn.” I have lived my whole life virtually not even thinking about water but after 3 + years of making sure that bad water doesn’t get into my mouth in the shower or wondering about ice at a restaurant and going about 4 months in the last two years without water in our house to do the dishes, take showers and most importantly, flush toilets, I no longer take it for granted. Anyway, just wanted to share with you a tiny little project of Stop Slavery and bringing a water filter to a village in Cambodia. Thanks for all of you who are a part of our support team. If you aren’t already you should go to the Donate page and choose 1000 Heroes and become one of the 1000 Heroes we are looking to have join us in 2014. People often ask what they can do to help in the fight against human trafficking. Sometimes I know them and have an idea of how they can bring value. Other times it’s hard. Many people here about the issue and want to help for about 2 days and then they are on to something else. Then there are people that just make things happen. They look for evidence of human trafficking in their own neighborhood. They take responsibility for those around them. Some jump in with both feet like Jason Migliore & Brian Layton who started the Oki Stop Slavery Ride and which Brian continues to run. At the end of 2013 this group of guys raised over $4200 in support of Stop Slavery’s anti trafficking work and work with orphans and the poor in Cambodia. Each year the amount they raise continues to increase. Thanks so much, Brian for continuing to challenge others to live for things bigger than themselves. Having spent all but 8 years of my life connected to the U.S. military I continue to be encouraged by the heart of those who make up the U.S. Armed Forces.